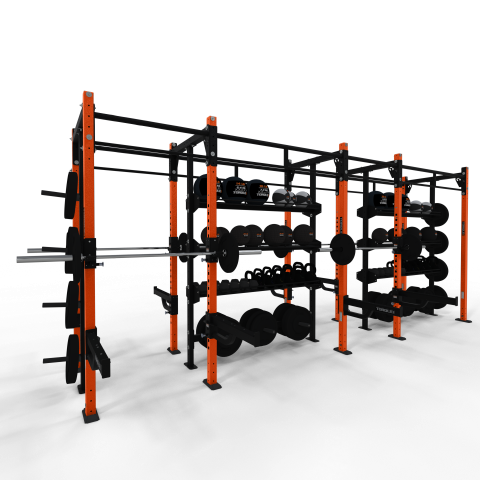 X-Rack is a feature packed rack system designed from the ground up to offer customization to meet the needs of modern training facilities. Custom heights, lengths, depths, colors and accessories offer an almost limitless number of options for your training space. Custom Heights: Choose from 8', 9' 12' along with a 3' extension. See Uprights. 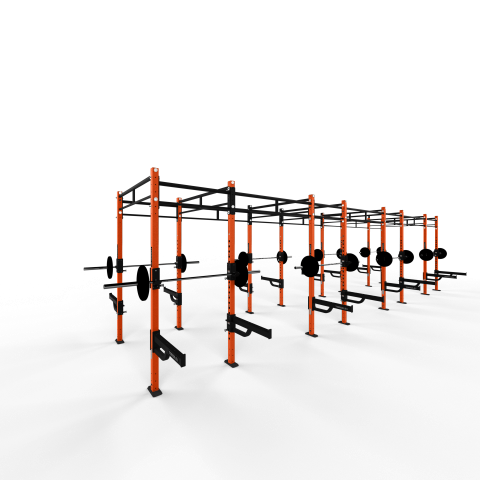 Custom Crossmembers: Choose from a wide range of crossmember options. See Crossmembers. 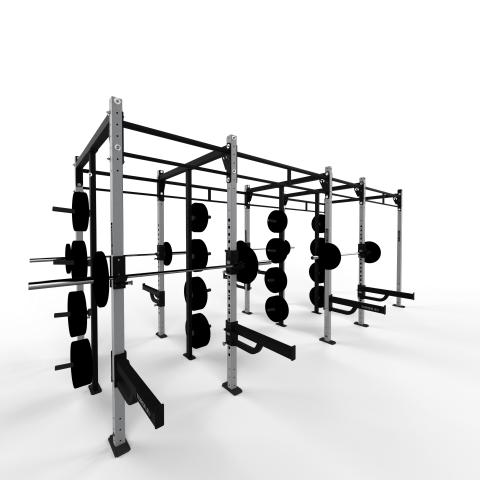 Custom Accessories: X-Rack offers a variety of accessories to customize a rack specific to your facility. See Accessories. Cable Attachments. Add a cable system to any X-rack. See more. Read more about our Quality, Service and Customization below as well as look out our Upright, Crossmember and Accessory options. X-Rack offers customization that other rack systems do not. All these items are designed to work seamlessly together to build your custom solution. Torque Fitness equipment is manufactured with the highest standards in the industry. Heavy duty steel, components and an industry leading 5 mil proprietary textured paint ensures your equipment will last for years. Torque's X-Design Team will provide expert service from design and layouts to optimize your facility and our Customer Service team can handle any questions you have. Torque offers a range of upright heights for all your facility needs. Our standard 9' upright is great for facilities who do not need to attache a rope of high rings. The 8' uprights are ideal for facilities with low ceiling clearance. 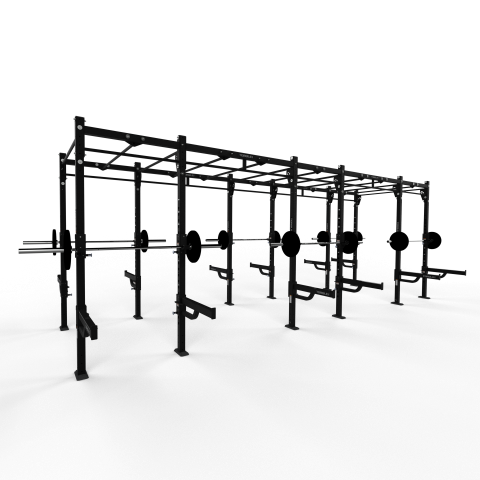 Our 12' uprights paired with the optional 3' ft extension provide 15' of height for rope climbs and gymnastic movements. Each X-Rack upright utilizes heavy duty 3x3" 11 Gauge Steel. All the holes are laser cut for an accurate and precise fit. Each upright features laser cut number slots to allow for fast and easy attachment placement while using the rack. Torque's proprietary powder coat finish is coated to 5 mil thickness versus the industry standard of 2 mil. This creates superior grip and long lasting durability. Torque offers your choice of 5 colors. Torque offers a variety of crossmembers for all your facility needs. Every crossmember features our Thru-Plate Construction for added durability along with Torque's proprietary heavy duty powder coat for outstanding grip and a long lasting finish. Mount in either direction for "fat bar" or "skinny bar"
Torque has an entire accessory line designed to work seamlessly with X-Rack. From storage to crossmembers and even cables, X-Rack offers more customizations than any other rack. Individual or multiple cable stations can be added to all X-Rack and X-Siege systems. The Cable Component System is available separate, as a package or a custom system can be created. 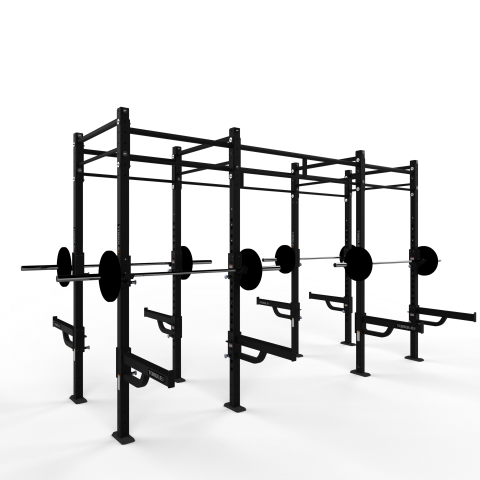 Includes single station lifting rack with two cable columns, ball target, weight storage, and a ground rotational trainer. 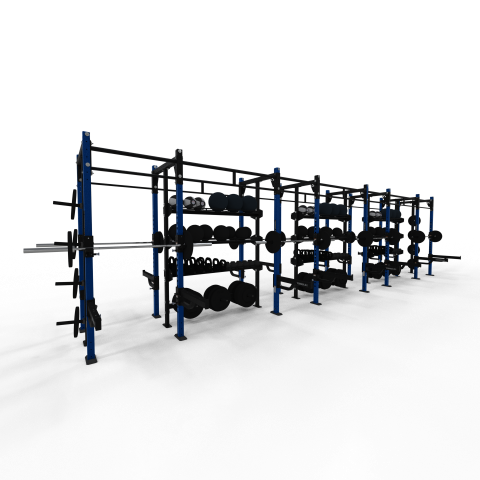 Space efficient single station lifting rack with two cable columns. Torque stands behind all of the products it sells and has an industry leading comprehensive warranty system, should you ever need it.